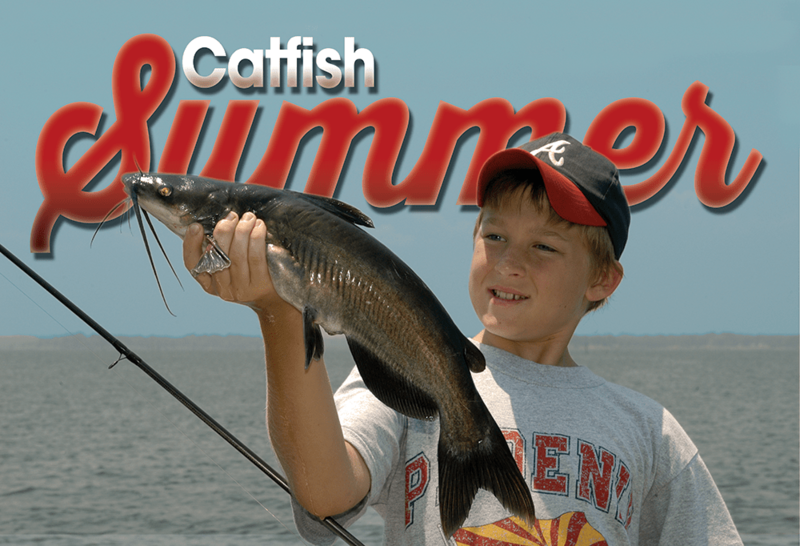 School’s out, summer is here and the catfish are ready to chomp. Whether you are an angler hoping to fill a void in the freezer or a parent with plans to turn a youngster on to fishing for the first time, there may not be a better deal going these days than ol’ whiskers. A school fish by nature, catfish are predominantly bottom feeders that are relatively easy to catch using a wide variety baits and elementary fishing methods. In fact, most tactics are so simple to master that even a five-year old can dunk a hook and reel in a few fish. Figure in the liberal creel limits the state allows for catfish, along with their five-star rating as table fare, and it is not a wonder that polls rank catfish second only to the largemouth bass in terms of angler popularity across the entire state. Still another reason catfish are so popular with anglers is availability. Next to bluegill, there may not be a more abundant fish statewide. Just about every lake and river in Texas harbors a decent catfish population. But some garner reputations that are head and above better than the rest. Not surprisingly, many of these waters are located in eastern Texas. My top choice for fat cats may come as a surprise to some. Lake Fork came along in the 1980s and literally stole the Texas bass fishing show. Now, it seems as though the 27,000-acre impoundment may be on the verge of laying claim to Texas’ premier catfishing title, as well. Located just 90 miles east of Dallas, Fork may be one of the best “all around” catfish lakes in the state. It also may be one the most under utilized. I call it an “all around” catfish lake because it cranks out considerable numbers of all three sub species (channels, blues and flatheads), often in trophy size proportions. The lake record rod and reel channel cat at Fork stands at 17.73 pounds. The biggest blue caught on a hand line weighed 71.50 pounds and the top flathead weighed a healthy 75 pounds pounds. 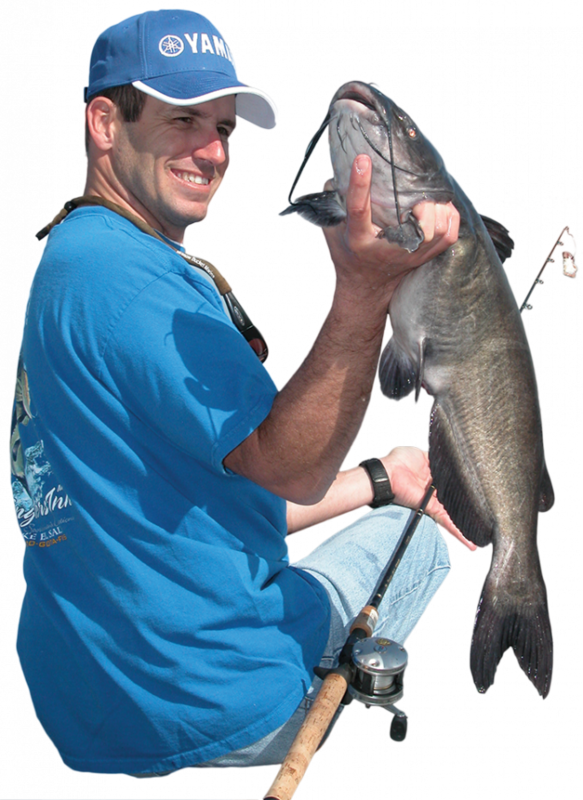 Lake Fork is full of channel cat in the 5-10 pound range. I’ve fished it numerous times over the years with guide Gary Paris of Quitman (903-763-2801) and not once have we failed to load the boat with plump channel cat and an occasional blue. Paris fishes the lake year-around. During winter he spends a high percentage of his time targeting cormorant roosts over deep water. But come summer he usually has the best results fishing around baited “baited holes” with cut shad, minnows, blood and stink bait. Paris suggests using soured milo, chicken scratch or range cubes to lure cats onto main lake points, underwater creek banks and humps. Water depths of 20-28 feet of water are usually ideal. Not far down the road from Lake Fork is another honey hole with a long history of producing plenty of keeper cats when it is hot outside — Lake Tawakoni. Paris grew up fishing the 37,000-acre reservoir and has learned from experience that it fishes somewhat different than Fork. Ed Snelson (936-876-4324) has never landed a 60-pound catfish on a rod and reel. But he has caught his share of fat cats on trotlines. At one time Snelson held the lake record for flathead cats at Sam Rayburn with an 82 pounder he hauled in out of the Angelina River, north of the Highway 147 bridge. Snelson guides rod and reel catfish trips on ‘Rayburn during the summer months. During July, he likes to fish over baited holes in water ranging 18-25 feet deep. He spends most of his time fishing in relation to underwater sloughs and the Angelina River channel. The guide also offers group trotlining trips to Toledo Bend. For the inexperienced trotliner, this is a priceless opportunity. Snelson is a master linesman if ever there was one. But be advised. Bring along a big cooler if you make the trip. When “Ed” shows up at Bill’s Landing, the fish cleaners run for cover. Rod and reelers shouldn’t expect to load the boat with 40 pounders at T-Bend any time of the year. But limits of frying size channel cat and blues weighing upwards of 10 pounds show up in angler creels quite frequently, according Charlie Shively, owner of Bill’s Landing in Strong. Shively said there are a couple of avenues hand liners can take. For small channel cat, he suggests fishing vertical over baited holes along the edges of the Sabine River with stink bait or cut shad. In the meantime, anglers should keep an eye peeled for netters on the Louisiana side. Shively says commerical fishermen rely on chum to lure fish into their nets. By keying in these areas you can reap the finny benefits while someone else does the dirty work. Most of the larger blue cats at T-Bend are caught by drifting cut shad or perch over shell ridges in 8-15 feet of water. Shively likes to fish his baits Carolina style in combination with 20-pound line and a stout hook. He will sometimes add a small piece of styrofoam to the line just above his bait. This provides the bait some lift and helps keep it suspended off the bottom, away from snags. East Texas is home to a number of other great catfish lakes where just about any of the aforementioned tactics will work. Among those impoundments are Cedar Creek, Palestine, Livingston, Richland Chambers, Monticello, Lake O’ The Pines and Wright Patman. Additionally, there are a number of good rivers worth checking out. The Sabine, Trinity, Angelina and Neches yield outstanding catches during the summer months. The best bite usually occurs when water levels are low. This pushes the fish into deeper holes usually found in sharp, outside bends.